L'Amuse Signature Gouda Selected by Essex - Zuercher & Co. Unlike most Dutch Goudas, L’Amuse signature Gouda is not matured in cooler temperatures. This mid temperature affinage in the cheese cellar allows the carefully selected cheeses to develop a fully rounded flavor. 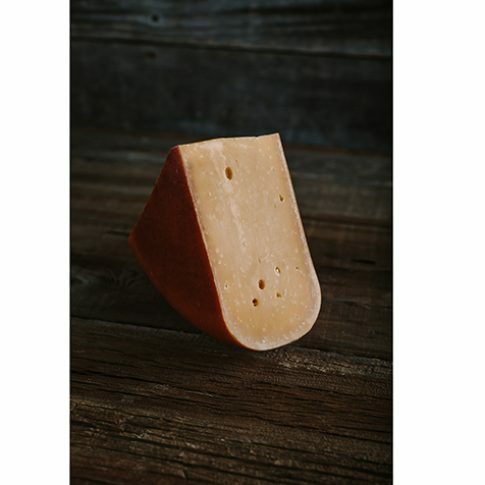 This hard cheese has a spectacular texture that is velvety and melts in the mouth. The flavor is nutty and salty with hints of burnt caramel ending with a complex, long finish.